NEW YORK -- Manchester City coach Patrick Vieira says that Andrea Pirlo would be a wonderful signing for New York City FC if the Italian chooses to continue his career in America. Pirlo, 36, has been linked with a move to NYCFC, with reports suggesting that he is close to completing a move after he was seen watching a Yankees baseball game at the weekend. NYCFC are the sister club of Man City, as they are both owned by Sheikh Mansour bin Zayed Al Nahyan, of the Abu Dhabi United Group, and although head coach Jason Kreis already has Spanish star David Villa at his disposal, Vieira believes that the addition of Pirlo would be excellent for the both the club and MLS. "If NYCFC manages to sign a player like Pirlo, it would be fantastic because we're talking about a player who is one of the greatest of the last 20 years," he told ESPN FC at an event for Western Union's PASS initiative. "He's won the Champions League, he's won the World Cup. He played on the biggest teams in Italy. He would be a fantastic example I think and a good professional, he's a good person. I think we have to just wait and see what's going to happen." City previously signed Frank Lampard on a one-year contract ahead of his move to NYCFC on July 8 and have also loaned Spanish left-back Jose Angel Tasende (known as Angelino) to the club for next season. Shay Facey has also benefited from the relationship between the two clubs as he spent time on loan this season, while Vieira believes the agreement will be good for City's young players. "We have a good relationship with the coaches here [in New York]," he said. "Jason came to Manchester and saw the way that we're working. He knows the young players very well. Claudio [Reyna] watches our games and also knows the young players. So they know what they can expect and as you can see, it's been working well. "We had Shay Facey here, we have Angelino coming soon and I think that's good. They still need a lot of work in terms of their development and I think with Jason, they are in the right place." City could loan even more young players to NYCFC in the future, but Vieira admits that he is leaving the decisions over who moves to Kreis and his staff. "Jason will be the one who makes the decision, he knows his team better than I do," he added. "He knows the players that he needs. He has Shay and Angelino, he will be the one who puts the names on the table and we'll talk about it. Because he knows them [NYCFC] and he's watching their games every week." 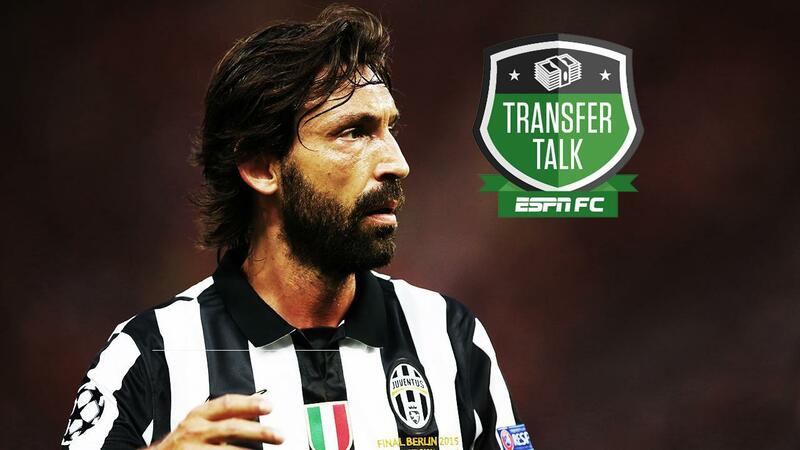 Pirlo nearing move to New York City FC? The ESPN FC crew react to reports that Andrea Pirlo is close to completing a deal with New York City FC, where all feel the midfield will have to work extremely hard with the likes of Pirlo and Frank Lampard.